A short story about: Intellectual Property, The credibility of the founder, Asking the right people, An Elevator Pitch, Investors, Company formation, Equity, Risk, Due Diligence. 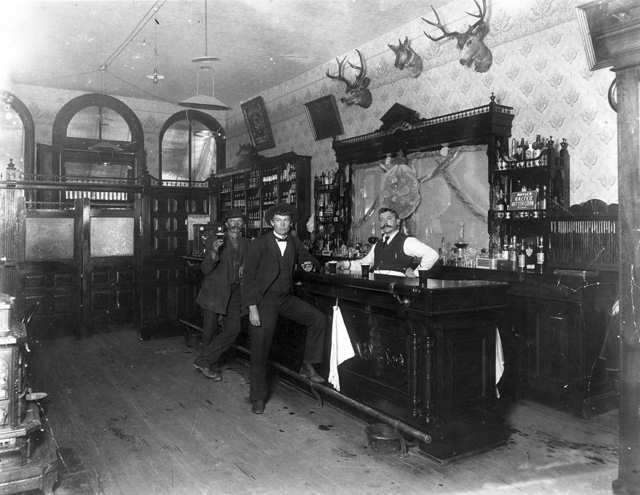 A big Ulster guy (Robin Hodge) walks into a swing-door saloon in 1859 Denver. He is dusty, unshaven, beat up a bit, checked shirt, horse worn and bedraggled. He walks over to the counter, leans up and says “whiskey”. The bar man slides him a glass. That will be five cents Mister. Hodge hasn’t any money. The bar man guesses this and reaches under the bar for a gun. Hodge pulls a feather from his shirt pocket and bites the quill top. He turns up the quill and pours out a quill full of pure gold dust on the dark counter. The bar goes quiet. The bar man re-racks the gun. A group of well dressed men playing cards in the shadows of the bar stop playing and get up and walk over to the bar. “Can I buy you a drink” one of them says. “That’s a mighty fine quill you got there mountain man”. “I had no bags so this eagle feather was all I could carry it in. I found it high in the mountains”. Credibility: The credibility of Hodge is built up by his appearance, coming from Ulster, physical size, checked shirt and choice of drink. Ask the right people: Hodge would have been more comfortable and could get cheaper whiskey in the shebeen at the end of the street but he wanted to raise money so he made an appearance in the fancy swing door saloon where rich people play cards. Intellectual property: Hodge knows where he got the gold dust and how to get more. The presentation of the IP: The delivery of the information was made in some style with tension and high impact. (Pouring the gold dust from the feather) You could feel the energy and interest in the bar. The bar went quiet! An effective pitch: Hodge got their interest. Hodge had made an good “elevator pitch” before elevators were even invented. High stakes: Hodge has no money and is very nervous. He is rambling here, but he shuts up quick and makes a good recovery. More than just money: The problems are clearly laid out. The partners are able to show that they can make real contributions and show why they are essential. Risk. The real risk here is that other prospectors might already have found the site. How quickly can the new company get formed and get back up there, protect their IP and enforce the claim. Due Diligence: The investors are carrying out some basic Due Diligence and double checking the story. They could do a lot more but they are blinded by the sight of the Gold. Valuation: The investors have proposed an initial value for the company. $10,000! It is based on the projected cost of the expedition until it starts making money. Company valuations can be very difficult. Essentially people start to speculate about how much gold there is. They balance this with how much cost will be involved in finding the gold. In this story Hodge is totally struck silent by mention of $10,000. It’s a fortune and certainly enough to put together a very well equipped expedition team. Hodge might of got a better deal if he made more of the 300 yards of yellow seem. However if he plays it too strong the investors may lose faith, Hodge can’t even pay for the whiskey he ordered. Shares: The opening position for the investors would make Hodge worth $1000 on paper. Hodge wants more than a finder’s fee! He remembers the 300 yard seem. Hodge proposes a share where he would be worth $9,000 on paper and 90% of all the gold they find. The equity negotiations have begun. It’s all about the people. An element of trust and liking the other guys comes into it. You need to trust your partners. It’s going to be a long expedition and there will be opportunity to kill the others. To get the gold and to bring down the mountain and sold will require the partners to trust and like each other. Tech start ups quete often sack the founder shortly after the money has been raised. This entry was posted in Uncategorized on February 19, 2012 by Anthony Hutton. User context:Who is the software for? How many copies are needed? How much will each copy cost? Functionality. What is the software supposed to do? External interfaces. How does the software interact with people, the system’s hardware, other hardware, and other software? Performance. What is the speed, availability, response time, recovery time of various software functions, etc.? Attributes. What are the portability, correctness, maintainability, security, etc. considerations? Design constraints imposed on an implementation. Are there any required standards in effect, implementation language, policies for database integrity, resource limits, operating environment(s) etc.? Feature list. List of the features that the software has starting with the bare minimum set working through a v1.0 list onward to a it would be great list and onward to an all sing and dancing list. This entry was posted in Uncategorized on February 14, 2012 by Anthony Hutton. This entry was posted in Uncategorized on February 1, 2012 by Anthony Hutton.